SEGA’s Fist of the North Star and Yakuza collaboration is set to release next year in Japan, and now it has a pretty sick cover. The publisher released the Japanese cover of Hokuto ga Gotoku, and it’s visually striking. 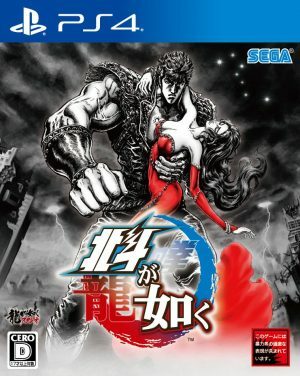 It’s quite the image, as it features a black and white Kenshiro holding a woman whose red dress is the only color on the main artwork. Hokuto ga Gotoku will be released for PlayStation 4 on February 22, 2018 in Japan, and will feature Kiryu as DLC.